Here, I want to discuss the seven fruits which are better for our health. Nutrients that smooth skin, sharpen your mind, beat disease, and more if you want to defy age, start from the inside. These seven fruits and vegetables contain a variety of nutrients that smooth skin, sharpen your mind, beat disease, and more. 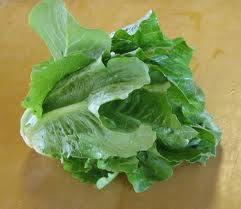 Six leaves provide more than 100 percent of your DV of vitamin A, Which revitalizes skin by increasing cell turnover? The mineral potassium in romaine Gives skin a refreshing boost of nutrients and oxygen by improving circulation, says Lisa Drayer, R.D., author of The Beauty Diet. That same serving of romaine contains 45 percent of the DV of vitamin K, which a recent study shows, activates a protein that supports vascular health—making a future with bulging leg veins less likely. New research shows that the purple-hued fruit may help sharpen your thought processes. After National Institute on Aging and Tufts University researchers’ injected male rats with kainic acid to simulate the oxidative stress that occurs with aging, rats that had been fed a diet containing 2 percent blueberry extract did better navigating a maze than rats that didn't get the compound. In another study, the same researchers found that rats that ate blueberries showed increased cell growth in the hippo-campus region of the brain. 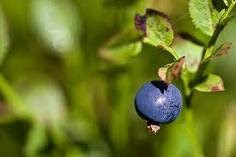 The researchers theorize that anthocyanin—the dark blue pigment found in blueberries—is responsible for these cognitive changes; it contains chemicals that may cross the blood brain barrier and lodge in regions that govern learning and memory. Pick any life-threatening disease—cancer, heart disease, you name it—and eating more broccoli and its cruciferous cousins may help you beat it, Johns Hopkins research suggests. Averaging just four weekly servings of veggies like broccoli, cabbage, and cauliflower slashed the risk of dying from any disease by 26 percent among 6,100 people studied for 28 years. For maximum disease-fighting benefits, whip out your old veggie steamer. 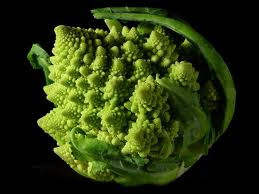 It turns out that steaming broccoli lightly releases the maximum amount of sulforaphane. Citrus fruits get all the credit for vitamin C, but red bell peppers are actually the best source. Vitamin C may be best known for skin and immunity benefits. Researchers in the United Kingdom looked at vitamin C intake in 4,025 women and found that those who ate more had less wrinkling and dryness. And although getting enough vitamin C won’t prevent you from catching a cold or flu, studies show that it could help you recover faster. Vitamin C has other important credentials, too. Finnish researchers found that men with low levels were 2.4 times likelier to have a stroke, and Australian scientists recently discovered that the antioxidant reduces knee pain by protecting your knees against arthritis. 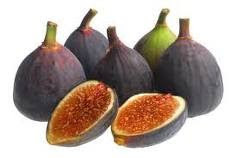 When you think of potassium-rich produce, figs probably don’t come to mind, but you may be surprised to learn that six fresh figs have 891 mg of the blood pressure lowering mineral, nearly 20 percent of your daily need—and about double what you’d find in one large banana. In a recent five-year study from the Netherlands, high potassium diets were linked with lower rates of death from all causes in healthy adults age 55 and older. Figs are one of the best fruit sources of calcium, with nearly as much per serving (six figs) as a half cup of fat-free milk. 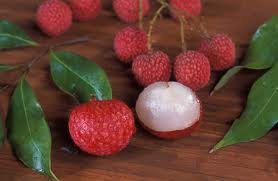 A French study published in the Journal of Nutrition found that lychee has the second highest level of heart-healthy polyphenols of all fruits tested—nearly 15 percent more than the amount found in grapes (cited by many as polyphenol powerhouses). The compounds may also play an important role in the prevention of degenerative diseases such as cancer. Serve by peeling or breaking the outer covering just below the stem; use a knife to remove the black pit. Add to stir-fries or skewer onto chicken kebabs to add a sweet, grapelike flavor. One of the healthiest fruits you should be eating is one you probably already are: the apple. 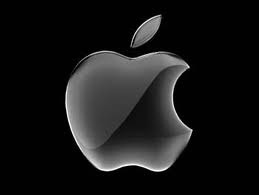 The Iowa Women’s Health Study, which has been investigating the health habits of 34,000 women for nearly 20 years, named apples as one of only three foods (along with pears and red wine) that are most effective at reducing the risk of death from heart disease among postmenopausal women. Other massive studies have found the fruit to lower risk of lung cancer, TYPE 2 Diabetes and even help women lose weight.